At Tuality Healthcare, we've always been committed to community. It's a part of how we care for each other, and part of what makes this place different. After more than 100 years of finding new ways to keep Hillsboro healthy, we reached out a couple of years ago to invite OHSU into a new partnership that will serve our community for the next century. OHSU is Oregon's only academic medical center - ranked as the #1 hospital in the state by U.S. News & World Report - and has more than 125 years'​ experience improving the health and well-being of Oregonians. We're honored to bring this partnership to the community we've served so long, and we're looking forward to offering you the best care in the state right where you need it - close to home. 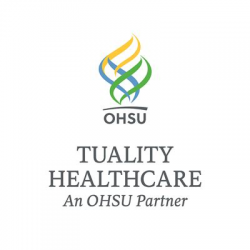 - Tuality Community Hospital, Hillsboro, 167 beds; state-of-the-art acute care services. - Tuality Forest Grove Hospital, 48 beds; state-of-the-art acute care facility. - Tuality Health Education Center, Hillsboro; free or low cost health classes and support groups. - Tuality Health Alliance, administrator of the Tuality Healthcare Medical Plan, provides health, vision, dental and prescription insurance. - Tuality Urgent Care, on-site laboratory and x-ray equipment to diagnose and treat most minor ailments and injuries.